Crap, what did I break? First off, thank you to Mr. Lube for tightening the ***** out of my oil filter. This is the exact reason I usually do my own changes....and the results that happen when I don't. Can someone tell me what this plug is I broke? 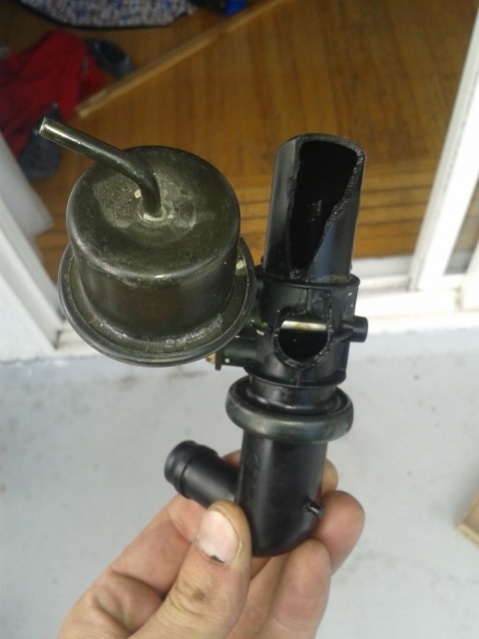 Some type of sensor /thermostat? 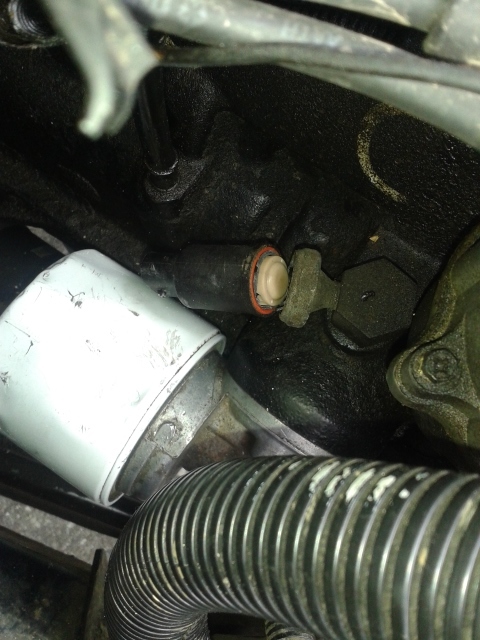 If you're looking in the engine bay, this is right above the oil filter attached to the left side of the block. It is hanging on by a thread and I need to know what I'm looking for when I head over to buy it. That's the oil-pressure sending unit. I think they run about $45 at the dealer, I would recommend getting one from the dealer if you can since aftermarket ones tend to be hit and miss and the "better" aftermarket ones cost nearly as much as the OE part from a dealer. 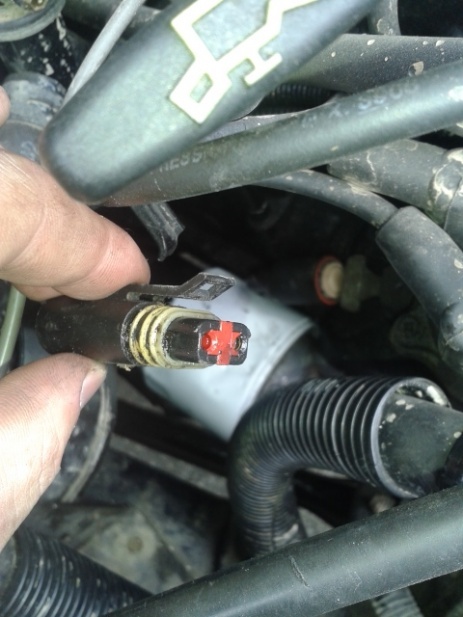 It is an easy fix, just unplug the connector (looks like you already did this), remove what's left of the old sensor with a 1" wrench, screw in the new sensor, plug the connector back in. Last edited by dmill89; 06-22-2013 at 04:38 PM. 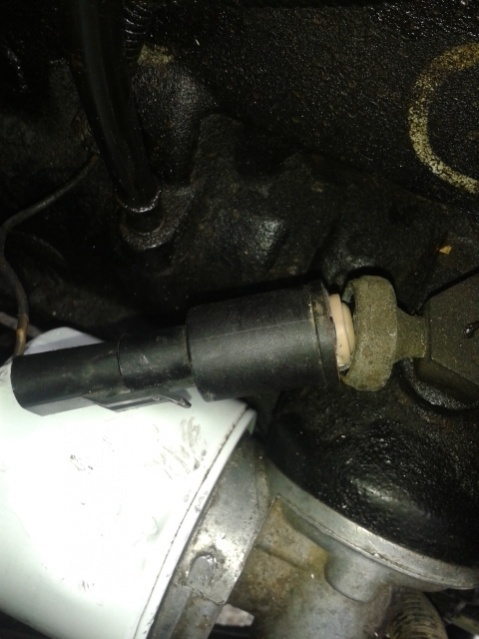 Oil pressure sender. Don't start the motor with it broken, you could lose your oil rather quickly. They're pretty cheap. Last edited by Radi; 06-22-2013 at 04:39 PM. Just be sure and get a sender for a gauge if you have one or for the light otherwise. Sometimes this can be problematic at AutoZone. Take old one with ya there to versions. You won't. If you can find a plug or bolt to fit hole, you can plug it temporarily. As other's have said, you won't make it very far unless you plug the hole somehow, oil is at full pressure and will pour out of the hole. If you go to NAPA get the Echlin (their premium brand) one, and as others have said make sure to get the correct one for a gauge/light depending on what you have. Thanks guys, got the new one in. what is it called? Something to do with the coolant. Thanks again for the advice! From what I can find, does either a heater control valve, or a diverter valve sound right? In my original post, you can see it sitting in the bottom right picture, 3 hoses going to it. That's exactly what it is- heater control valve. You don't need it, in fact it was eliminated from later XJ's. They break if you look at them the wrong way. 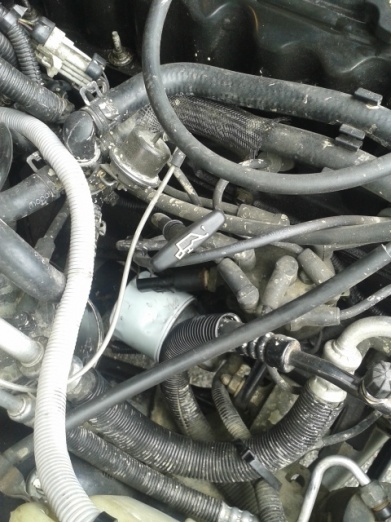 You can just splice the hoses together or replace them with longer hoses and trashcan the valve. Don't forget to plug the vacuum line. 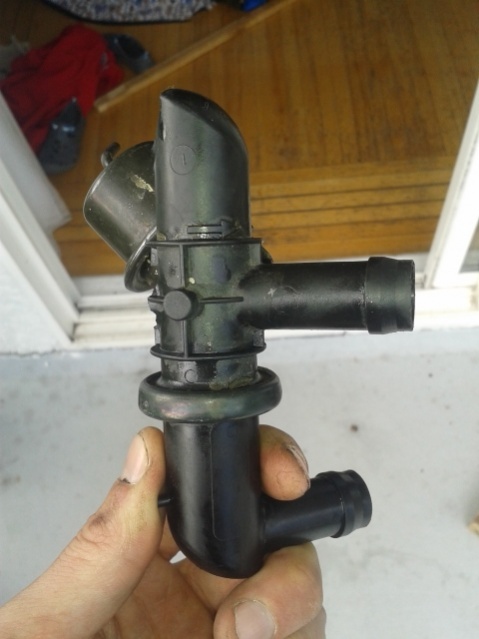 Yep it's a heater diverter valve. Those are really easy to break, the plastic gets brittle over time and they often even break by themselves. what was the reasoning for eliminating it? Is there an advantage to me doing it? The only reason I'm concerned is because of that little vacuum canister, does it not serve a specific function? Quick Reply: Crap, what did I break?